I would like to open with a spoiler disclaimer and warn you that the recap on the new Captain America contains a pretty epic spoiler. It blew up my social media feed yesterday and you likely know what it is, but just in case, you should move on to the others if you don't want to be spoiled. 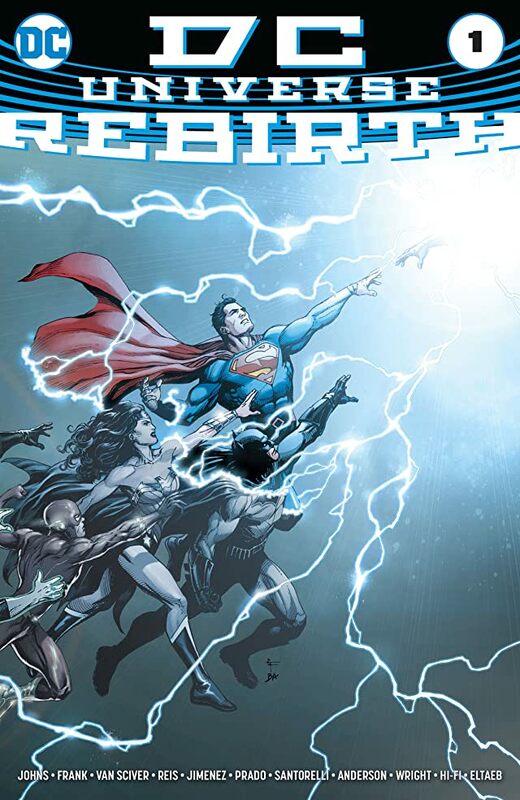 The big news this week is the re-re-relaunch of the DC Universe in DC Universe Rebirth. Geoff Johns, CCO of DC Comics and author of some classic DC stories, offered a money back guarantee to skeptical fans like myself. If you are not satisfied with the comic, you can mail it back to DC and will be reimbursed the $2.99 and the cost it takes to ship the comic back to DC. I was unimpressed with the issue and might take him up on that offer. Captain America #1 - Nick Spencer dropped a bomb that has outraged a lot of the comic book community. With an author like Spencer, I tend to remain calm and trust he has a good resolution to this. If you want to avoid the spoiler, then I you shouldn't continue to read this recap. The big reveal is that Steve Rogers was brainwashed as a child as a Hydra agent and is an active Hydra agent. The final panels of this comic are chilling as a fan of Captain America and this is a twist I never saw coming. The nerd rage has been quite hilarious and predictable, but I think it is an interesting premise and a great way to bring Steve Rogers back after he lost his super powers. Well played Spencer. You have my attention. DC Universe Rebirth #1 - I will admit that Geoff Johns packs a lot of value into this comic. You are treated to 80 pages worth of material as he sets up yet another reboot of the DC Universe. I know that they claim it is not a reboot, but that is what it feels like. The story is from the perspective of Wally West, a character who has was erased in Flashpoint and hasn't been seen in the New 52. In the issue Wally tries to reintroduce the events prior to the New 52 back into the DC Universe. I don't doubt Johns' passion for DC, but the issue reads as almost an apology for the New 52. Fans were upset that the history of the characters was erased with the New 52 and this is his attempt to hit the reset button. I will admit that I am not an avid DC reader other than Batman. There have been arcs of Green Lantern, Superman, and Flash that I have greatly enjoyed, so this issue/event/reboot is not targeted at me. The Nerdist posted a great interview with Johns and this project you should totally check out. 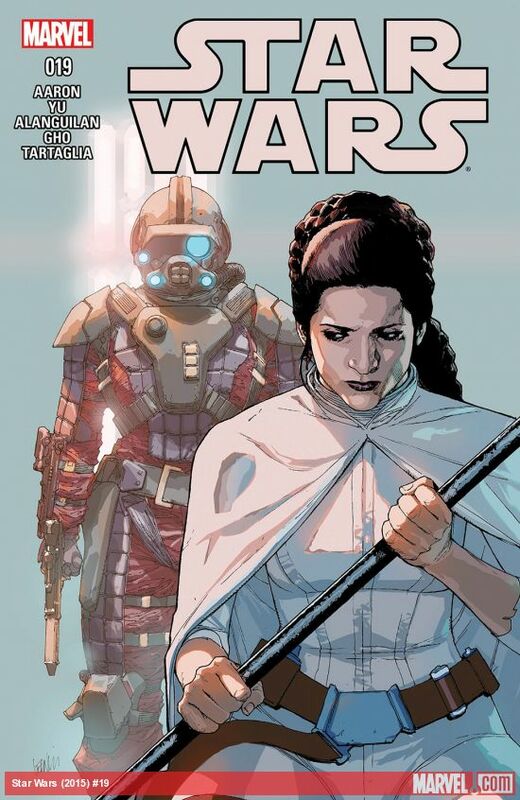 Star Wars #19 - I appreciate the tongue reveal over who was holding everyone captive on the Sunspot Prison but it was a bit anti-climactic to throw it back to a character that was only featured in the Star Wars Annual. Eneb Ray (who?) is a former rebel spy who has grown weary of the old methods in taking down the Empire. Suffering from some sort of disease, he appears to have traveled down a dark path and sets up an interesting new character that will have a huge impact down the line. The big reveal in this issue is the lightsaber wielding storm trooper, who I am excited to learn more about in the next issue. This series has cooled off a bit in my opinion, but the teaser for the new arc looks good. Daredevil #7 - The Daredevil/Electra fight took an interesting twist as we learn that Electra has a daughter and has reason to believe that Daredevil helped train her in the ways of the Hand. Daredevil enlists the help of Foggy and we learn that Electra was led to believe this in an attempted attack on Daredevil. Electra was unwittingly a tool in this game and is struggling to remember who manipulated her in this way. This is a nice setup to a new danger that will challenge the Man with No Fear. 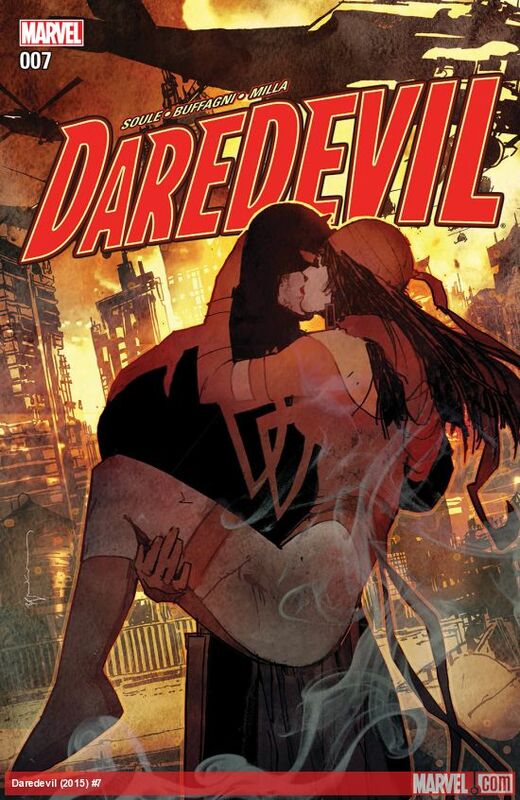 I remain impressed with Charle Soule's Daredevil run.